Adam Gardner, of the Fairtrade Foundation, and Karen Palframan, of Fairtrade Yorkshire, promoting the fair banana. During Fairtrade Fortnight (24th February to 9th March) a banana farmer from Colombia will be touring Yorkshire to promote the Fairtrade Foundation’s Stick With Foncho campaign, to make bananas fair. Aimeth Alicia Fernandez Angulo is from the cooperative ASOBANARCOOP. She is a manager of the cooperative as well as being a smallholder farmer herself. She will be crossing the region to tell Yorkshire folk about life for banana farmers and how Fairtrade can make a difference. She will be encouraging us to act to make all bananas fair. Bradford, Cherry Burton, Harrogate, Hebden Bridge, Holmfirth, Hull, Immingham, Keighley, Leeds, Malton, Sheffield, Skipton, Thornton and York. She will be attending a wide range of events including: school, university, church and community activities, and public meetings and city centre stalls, where you will get a chance to meet her. Fairtrade Fortnight this year is from 24th February to 9th March and the theme this year is Make Bananas Fair. We love bananas – in fact they’re our favourite fruit. In the UK alone we eat over five billion a year. In the last 10 years, the UK supermarket sector has almost halved the shelf price of loose bananas while the cost of producing them has doubled, trapping many of the farmers and workers who grow them in a cycle of poverty. Does that sound fair to you? Our campaign aims to transform the banana industry. We want to make bananas fair. This means that every banana farmer and worker earns enough to have a decent standard of living, works in conditions that are safe and has rights and benefits. It also means bananas are produces in a way that is environmentally sustainable too. More than 1.2 billion Fairtrade bananas are now sold in the UK each year. That’s one in every three bananas we buy. 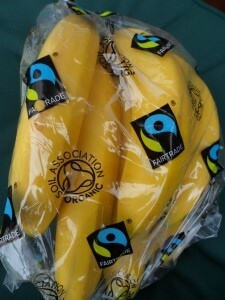 Fairtrade provides a vital safety net for banana farmers and workers. The Fairtrade safety net is the minimum price that farmers get to cover the costs of sustainable production, and a premium on top of this which they choose to invest either in community projects or in their business. Fairtrade alone is not enough to end the price wars. We have to go further to ensure the price we pay for our bananas is sustainable, so that the whole industry can be made fair for farmers and workers. 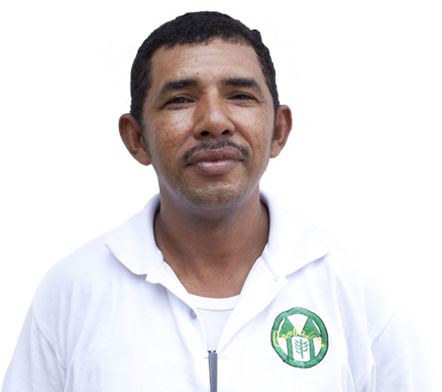 Foncho is a banana farmer from Cienaga in Colombia. 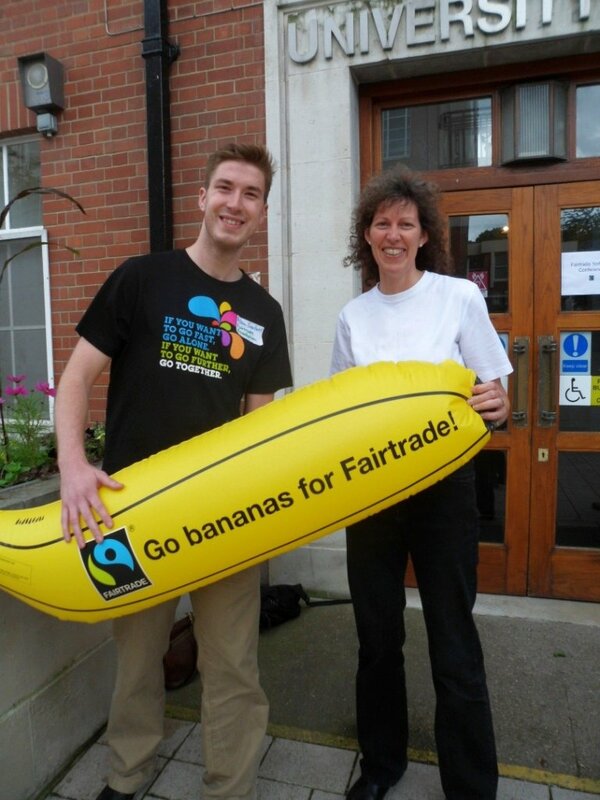 This Fairtrade Fortnight, he’s coming to the UK and he’s on a mission to make bananas fair. 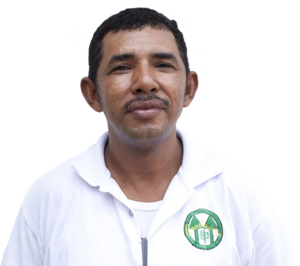 Before Foncho’s co-operative Coobafrio was certified as Fairtrade, Foncho often struggled to make ends meet – it was a hard life. But since becoming Fairtrade, Foncho receives a fair price for his bananas, which means he can afford to care for his loved ones and send his daughter to college. We need to act now so that all banana farmers and workers get a fair deal. 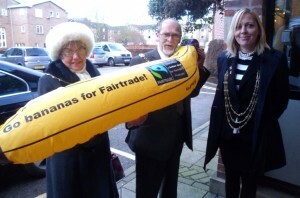 This Fairtrade Fortnight Stick with Foncho to make bananas fair. 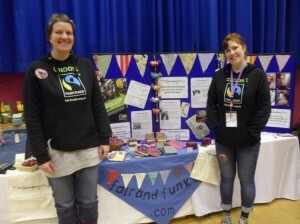 The third annual Yorkshire Schools Fair Trade conference has won praise for motivating and encouraging schools in their raising of awareness of global trade issues. The Lord Mayor of York and representatives of the Cooperative, and local businesses, praised the varied and exciting programme that had been put together by the event organisers: the Centre for Global Education, York St. John University and the York Fair Trade Forum. The Sheriff’s Lady, the Sheriff of York and the Lord Mayor of York arrive at the conference. Excellent presentations were given by Riccall Primary School, Cawood Primary School and York’s Bootham School. Workshops took place on topics ranging from Fairtrade honey, to the price of a T-shirt role play. The event concluded when the Lord Mayor of York presented the Fairtrade in Yorkshire School Awards and the Global Teacher Awards. Tockwith School were one of the winners of the Fairtrade in Yorkshire School Awards and their pupils were clearly delighted. The Church of England primary school are Eco Warriors and have been a Green Flag school for over four years. 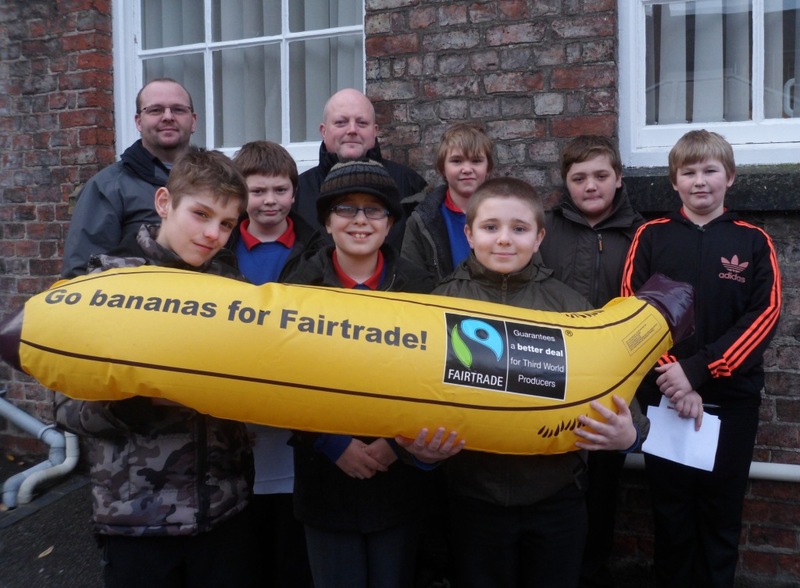 Focus on Fairtrade is one of the five areas that Eco Warriors concentrate upon in Years four and five. 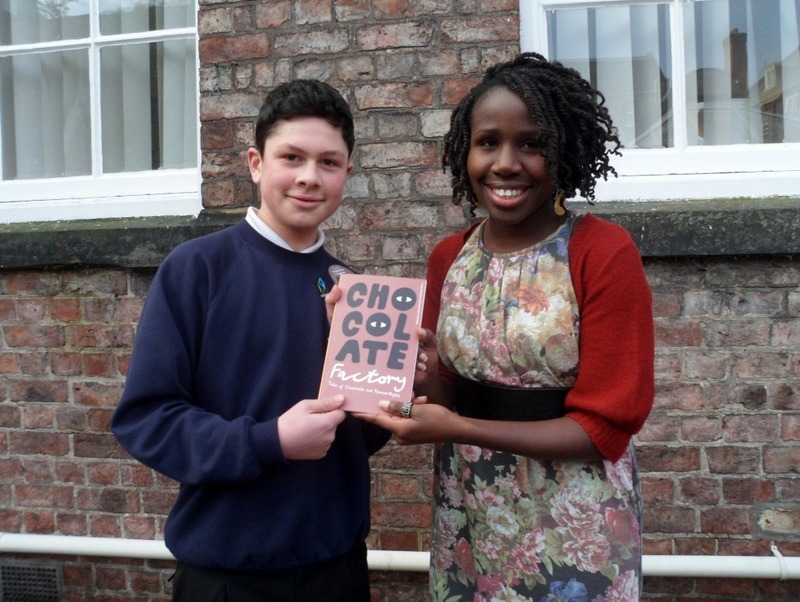 Tom with competition judge, Juliana Mensah, Artist in Residence, Centre for Applied Human Rights. 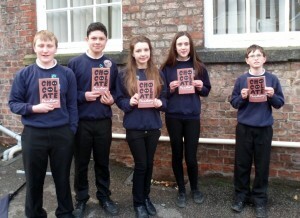 Tom Haygarth, a student at York’s Fulford School, has won a literary competition with his short story ‘Behind the Bars’. The tale looks at the lives of those who produce cocoa in West Africa. It is an accessible and entertaining read, written in a confident and mature style; a well deserved winner. 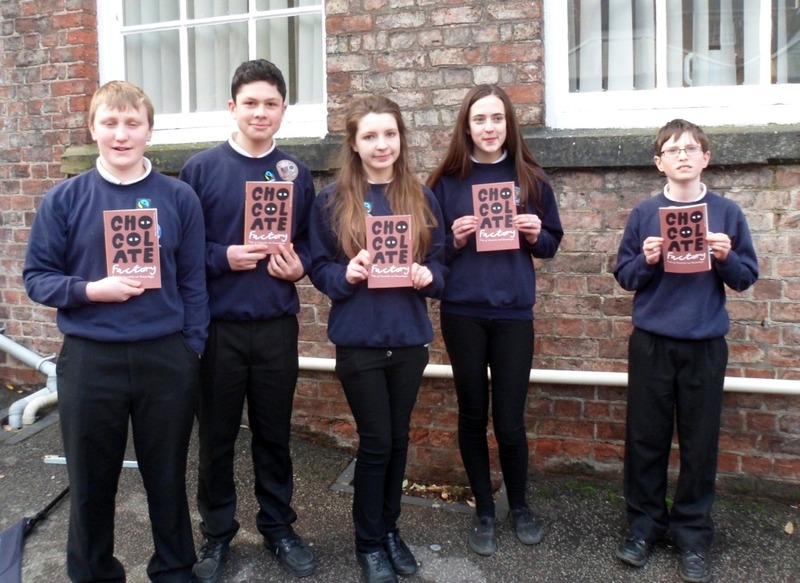 Fulford School students with the book ‘Chocolate Factory’. The competition was organised by the Centre for Applied Human Rights at the University of York, and by Amnesty International; its theme was chocolate and Human Rights. Tom’s, and other winning stories, have been collected in a book ‘Chocolate Factory’, which is published by Stairwell Books. Carleton Primary School receive their Fairtrade in Yorkshire School Award from the Lord Mayor of York, Councillor Julie Gunnell. Carleton Primary School, near Skipton in Craven District, has just put in its application to become a Fairtrade School. This marks the culmination of several years work and all pupils and staff have their fingers firmly crossed that they will be successful. The school is no stranger to awards, having won a Fairtrade in Yorkshire School Award 2014, and two of their teachers have been presented with Global Teacher Awards, accredited by Liverpool Hope University. 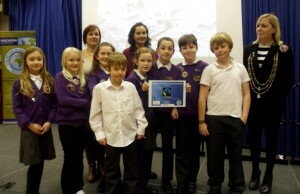 Brompton Hall pupils and teachers at York St. John University, where the award ceremony was held. Brompton Hall School in Brompton, near Scarborough, were awarded with a Fairtrade in Yorkshire School Award 2014, in recognition of all the work the school has done to raise awareness of Fairtrade. The school has its own Fairtrade group, which coordinates a wide range of activities and Fairtrade is raised in cookery classes, where many fairly produced ingredients are used.